ZERO is a world-class manufacturer of quality, deep-drawn and fabricated aluminum and molded plastic cases, enclosures and assemblies for the defense, aerospace, industrial, medical, electronics and telecommunications markets. ZERO’s real product is protection—ensuring the safe transport and viability of valuable equipment and electronics, without compromise. ZERO can meet your needs with one of their standard products, or through a specialized custom design, we have the engineering and manufacturing expertise to see the job through to success. Ameripack is an authorized distributor of Zero cases, from their 19″ rackmount cases and deep drawn aluminum enclosures, to water-tight ruggedized plastic cases and strong, yet lightweight aluminum carrying cases, Ameripack will help you choose the proper case to meet and exceed the complex needs of the most demanding industries. Featuring the classic look of a ZERO case, the aluminum Centurion Elite cases are strong and lightweight yet extremely durable. The seamless, sleek surfaces of the deep drawn aluminum case shells, accented by their distinctive styling beads, are available in either a clear anodized finish, which highlights the natural beauty of satin-anodized aluminum, or in a textured black powder paint finish. The strength and durability of these cases has been proven in actual use around the world. They are dust and weather resistant, and every case is strong enough to stand on, thanks to specially heat treated shells. Despite its strength, even the largest case weighs only 17 pounds. 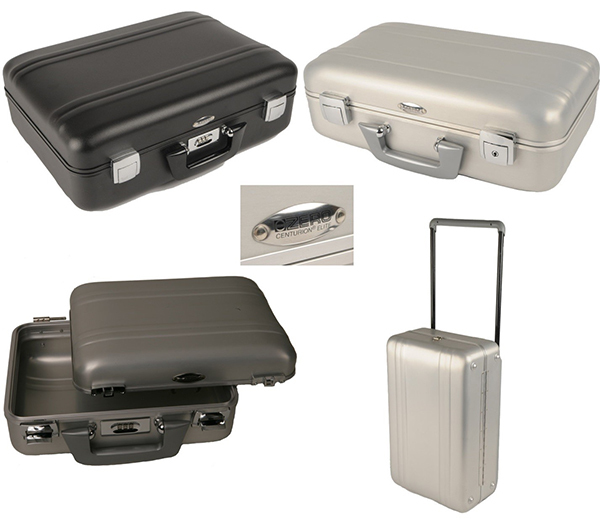 These cases offer the ultimate in appearance, reliability and versatility. Positive-locking latches assure secure closing, while complementing the clean styling of each case. There are 4 series of Centurion Elite products to choose from: 100X are the standard cases. 200X offer EMI/Environmental protection. The 700X series has separable hinges so you can remove the lid. And the ZeRoller case includes a two wheeled system to make your case easy to pull. Designed for style as well as durability. These cases are manufactured from a tough polyethylene plastic to shield contents from shock and impact while maintaining a superior appearance. Even in extremely harsh environments these cases can withstand incredible abuse. ZERO’s Transitainer cases offer superb protection for an affordable price. 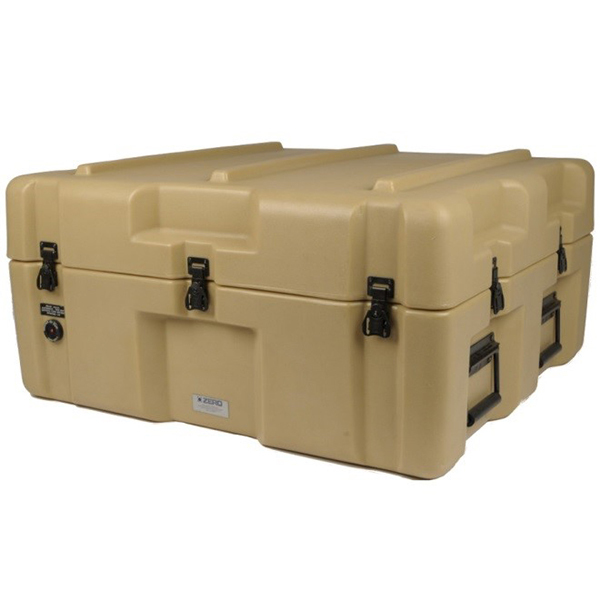 These cases are great for shipping and storing supplies, equipment, technology, and more. Custom configuration options are available and we can prepare custom foam inserts for your case. This means that you can have a case tailored exactly to your shipping, transit, and travel needs. The Transitainer rotomolded shipping case is available in 60 standard sizes, providing a highly reliable, cost effective alternative solution to other types of shipping cases. Many sizes and configurations are available for shipment in 5 business days ARO through our Quick Ship program. The Zero Cases Val-An line of carrying cases stands for “Value Analyzed”, showing a commitment from Zero to produce a line of cases with desirable features in an efficient and cost effective manner. With 52 different sizes and styles to choose from, these seemless, deep drawn aluminum cases are the ideal solution to transport or store your delicate instruments and equipment. 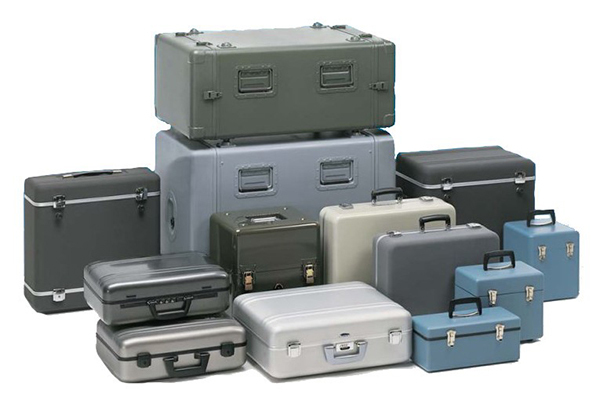 In addition to the standard sizes and configurations, Ameripack can customize these cases to meet almost any of your needs. The cases are an ideal solution to odd size rack mount piece of equipment, or if you need a rugged shpping case for your parts, the Val-An series can meet your needs. 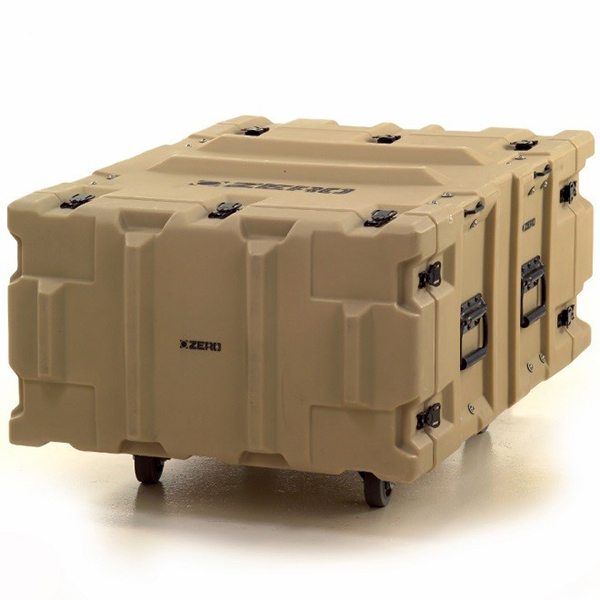 Zero cases has one of the largest varieties of rack mount cases available. Their ZERAK series of cases are aluminum double entry cases designed and engineered to be watertight and provide 40G protection to electronic equipment. Their size, weight, and pricing makes the Zerak a rack mount solution that cannot be met by any competitors. The Zero Scout Series of Rack Mount cases that includes a rotationally molded shell and a heavy duty, shock mounted inner frame. These cases can include a removable rack frame and can be built for airtight/watertight protection. The Warrior Rack Mount Series by Zero are another rotationally molded rack case that can include a fixed or removable rack frame. These cases are included in our quickship program and can be sent out to you within 5 days!.